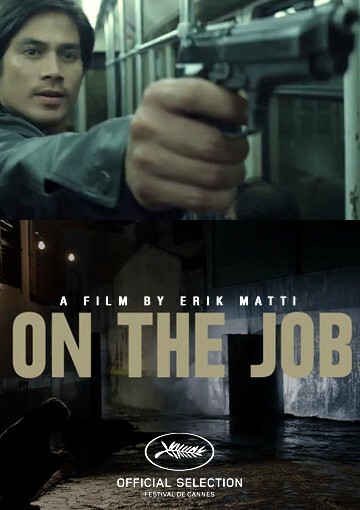 "ON THE JOB"- A film I am excited to view not only because it stars my favorite actor but because viewers gave it a two-minute standing ovation at its screening at the 2013 Cannes Film Festival in Cannes, France on May 2013 having been one of twenty one selected films featured in the Director's Fortnight. The film received the jury prize and one of its actors, Joel Torre received the Best Actor Award at the 17th Punchon International Fantastic Film Festival held in Bucheon, South Korea. The film apparently will have a US adaptation and its director, Erik Matti is planning a sequel. 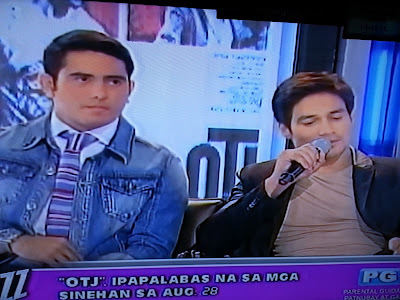 Gerald Anderson in an interview today at the Buzz, a showbiz talk show said that one of the things he personally gained in making the movie is the realization that goes something like "we can live simply, that we can live without modern gadgets but merely with basic needs and the love of family," something he observed while shooting inside prison cells. It has been awhile since my beloved Piolo Pascual had a hit movie and as a fan I am relieved that he has come back to life on the screen. Apparently he has a love interest in the movie played by a former child star Shaina Magdayao. He has survived an onslaught of intrigues on his personality having been rumored to be gay. True or not, I remain one of his loyal followers, career wise. After all, he is a brilliant actor and not just a gorgeous face. I know it will take a lot of drama on my part to get the hubby to view the movie with me so I am writing this to show him it is worth our time. Distributing the movie internationally are Wildside films in France, Well Go USA Entertainment in North America and Madman Entertainment, Australia with a budget of US$1.08 Million. It is set to be shown locally on the 28th of August around three months after its screening in Cannes. "On the Job" is a movie I will take time to see, definitely. I am looking forward to perceiving many negative things about how politicians run the country and I am keeping myself ready to face the challenge of making a difference in a government that needs a lot of improvement. I always make it a point to not just be a movie goer, but a citizen who exercises her rights and does her job with a heart. haha ate kulasa! I also love Piolo! bwahahaha. I find him so so gorgeous amidst the controversies. Gay or not he is still handsome, masculinely so. bwahaha. awwww. Papa Piolo. He still looks so handsome despite all the you-know-what.